Teleflora has partnered with the Breast Cancer Research Foundation (BCRF) in the fight against breast cancer. Every time someone purchases Teleflora’s Pink Hope & Courage Bouquet at teleflora.com, 15% of the suggested retail price goes back to the charity. 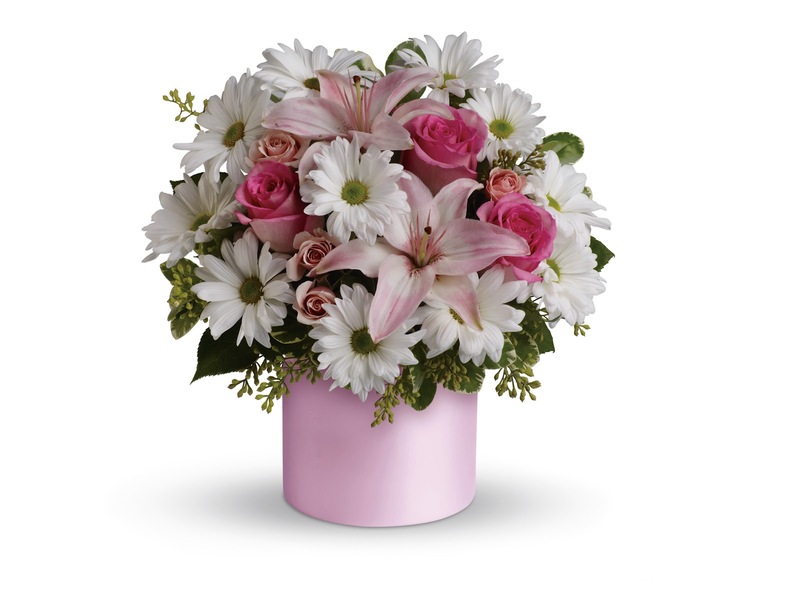 A charming arrangement that arrives in a delicate pink satiny cylinder bursting with pink lilies and roses.